Good morning. I have an announcement about our relations with Cuba and several important developments to share with you and the American people. A little more than one hour ago, a U.S. government jet left Havana, Cuba bound for Washington DC carrying American Alan Gross who has been freed by the Government of Cuba. I spoke with Mr. Gross by telephone and told him we were glad that he is finally coming home. He is being brought home accompanied by the U.S. Special Envoy to Cuba and the Chief of the U.S. Interests Section in Havana. I know his wife and family are finally relieved that his imprisonment is over and shortly, the Gross family will be reunited. I want to thank the hard work of our diplomats and the Secretary of State for a job well done and what I have been told were long and oftentimes difficult negotiations. I spoke with Cuban leader Raul Castro and told him these were important steps forward and more needs to be taken on both sides. The cause of Mr. Gross’ imprisonment, a well intended, but ill advised and failed program to support democracy in Cuba has been suspended indefinitely. If we are going to be a positive and constructive influence for democracy in Cuba, it must be through other ways. Similarly, I want to announce that I have exercised my authority as President of the United States to pardon five Cuban nationals, Gerardo Hernández, Antonio Guerrero, Ramón Labañino, Fernando González, and René González, each who were convicted of several crimes here back in 2001. As we speak now, they are on a private plane headed to Havana to be returned to their families. I have made this decision after personally reviewing the files and case histories of these five men, discussing this matter with individuals with differing views as well as having heard from numerous world leaders on this case. I have determined that it is in the best interests of the United States that these men be returned to Cuba and end this ongoing controversy once and for all. There can be no real improvement of relations between both countries without a resolution of the human issues that have been present on both sides. Clearly Alan Gross’ imprisonment and the imprisonment of these five Cubans here in the U.S. were stumbling blocks that made any significant progress unlikely. I know this decision will not sit well with some folks in Miami, FL and Union City, NJ. However, I have to point out that these steps being taken are supported by an overwhelming number of Americans and Cuban Americans, who want to see an end to the failed policies we have with Cuba as well as our position of an imposed hostility towards Cuba. This has not achieved anything constructive between our two countries in more than fifty years. We also have to recognize and acknowledge that the entire Latin American community of nations disagreed with us concerning our policies with Cuba. If we are going to improve our relations with our neighbors, we cannot ignore the feedback we have been given on this issue multiple times and most recently at the Summit of the Americas in April, 2012. In addition, I am pleased to announce that Cuba released a number of political prisoners still held in their jails. These men and women will be allowed to remain in their country and will not be exiled to Spain or the United States. In the community of nations and human society, pluralism of ideas exists. So do political views and dissension. Every society must tolerate differing views. Human existence and thinking is not monolithic. The nature of government should have a foundation in its structure to permit the expression of differing views and an accountable system of government to the people who give it their power. I also want to announce that a team of FBI agents and special aircraft are in Havana, Cuba right now to take into custody a number of American fugitives, who have been arrested by the Government of Cuba to be extradited back to the United States to face long overdue justice here at home. It is also time to restore a further degree of normalcy between our two countries and that means that Cuba is no longer a safe haven for fugitives from American justice in the future. We still have a long way to go to improve relations between both countries and I remain committed to engaging in a genuine dialogue with Cuba. There will be further developments to share with you soon on that front. However, this is a moment right now to celebrate for the Gross family. Now I want to open up for some questions. PRESS REPORTER 1: Mr. President, right now some people in Miami are deploring this announcement and condemning the pardon of the Cuban Five. The State Department had said on numerous occasions in the past that there would be no quid pro quo. How is this action not a quid pro quo? THE PRESIDENT: Good question. The freedom of Mr. Gross and the Five may appear like a quid pro quo, but a fundamental change has occurred. I have decided that as President of the United States, the flawed and failed policies that my predecessors since JFK and I have followed must be brought to a conclusion. A whole host of human beings have been caught in this tortured web of U.S. Cuba relations over many decades. Lives have been lost and there has been much suffering on both sides. There was this thinking among some here that we should not engage the Cubans until Alan Gross was freed first. However, Gross was in trouble for following our programs in a foreign country where it is a crime to do what he was doing and he was languishing in a Cuban jail feeling abandoned by his government. I think we had been viewing this crisis inflexibly, instead of seeing the opportunity that exists to change the overall course and direction of the bilateral relationship. The overriding issue facing both countries is how do we reset a strained relationship? The only way to reset the relationship is to first provide immediate relief for all the people and families on the front lines caught in the web on both sides. I think you see from the combination of efforts being announced today, that this is hardly a quid pro quo. PRESS REPORTER 2: What about the impact of this decision on electoral politics sir? You realize this alienates your party from a significant political voting and financial bloc in Florida? THE PRESIDENT: Lets be clear, the voting bloc you refer to, did not support my election and while my party may have received some financial support from that bloc, none of this changes our commitment and responsibility to act what it is in the best strategic and national interests of the United States and even the entire region of Latin America– among which are an ending to the failed policies we have with Cuba. PRESS REPORTER 3: Isn’t this a capitulation then to a dictatorship on our doorstep off the coast of Florida? THE PRESIDENT: Respectfully, the policies we have had with Cuba have empowered the very form and exercise of government authority we have been complaining about for more than fifty years. Ironically, while we object over the leadership and political system in Cuba, we conduct normal trade and relations with a number of countries whose political systems and government exercise of power we take exception to. And when it comes to dictatorship, lets not forget our own history with the region. How many dictators have we supported or empowered in Latin America in the 20th century? I am determined that our country commence a new beginning with the region and that means a fundamental respect for our neighbors, even those we disagree with. What I learned from speaking with leaders in Latin America and from summits and visits we have had is this – Latin America wants partnership with the United States in an environment of mutual benefit and respect. We want to find ways we can build upon that so that our entire hemisphere is stronger economically and most importantly, at peace. We offered to work with the Cuban government on the current energy exploration going on in the Gulf and to collaborate on a number of public health and scientific matters. PRESS REPORTER 4: Will you be meeting Mr. Gross and his family anytime soon? THE PRESIDENT: Yes. After Mr. Gross has had some time to be with his family and recover, I plan to invite him and his family to the White House for a private visit. PRESS REPORTER 5: You said you spoke with Cuban leader Raul Castro. Can you share with us what your exchange was? THE PRESIDENT: We agreed that it was time to take steps to improve the relationship between both countries and that it was critical to resolve the immediate issues of Gross, the Cuban Five, political prisoners, and American fugitives in Cuba. In addition, we shared ideas, suggestions, and steps each country could take to improve its relations with its citizens. I think there will be more on that later and leave it to Mr. Castro and other Cuban leaders to address steps the Cuban government is taking to improve its relationship with their own people on the island and living abroad. For example, Cubans will now be able to travel freely to and from their country without undue burden. During our diplomatic discussions, we raised these points with each other. In the end, Mr. Castro invited me to visit with him in Havana in what I believe will be a historic visit. I accepted the invitation. I think you have to reflect on the historical significance of President Nixon’s visit to China and what that led to. Now is the time for a sitting American President to go to Cuba. More on that later. PRESS REPORTER 6: Mr. President, several hardline Cuban American members of Congress in both parties are outraged at these actions and say they will do everything they can to block your efforts. What do you say to them and the Congress? THE PRESIDENT: I say to them as I have said again and again – represent the people of the United States, act in the best interests of the United States, and be consistent in the exercise of our foreign policy and defense of human rights around the world. Our hypocrisy with Cuba has cost us far more than we ever imagined. And if they choose to block the efforts to reset our relationship with Cuba and the hemisphere, they are going to discover that they are going to be isolated politically by their own colleagues and the people. They are respectfully, on the wrong side of history. I know for some of these Members, their interest regarding Cuba is deeply personal, family related, and even tied directly to the Cuban Revolution and Fidel Castro himself, who is even the uncle of one of the Congressmen. As we have learned from history repeatedly and through the conduct of international relations and diplomacy, personal agendas and vengeance make for bad foreign policy. They cause wars and do not break the cycle of violence and destruction. We have to find a better way. Our past policy behavior has been an exercise in failure and waste of more than one billion tax dollars over the years that have not yielded much. There was irrational and illogical resistance on the part of some towards resolving these issues. It was somewhat strident until I personally became involved and exercised my authority. With regards to Alan Gross, I was not going to let that man languish in a Cuban jail anymore at the expense of an agenda of a few on Capitol Hill. PRESS REPORTER 7: Certain elements of the Cuban American community in Florida feel completely betrayed by these actions. They lost the lives they once knew, their property in Cuba, and always held out hope that the United States would rally to them. Sir, they say you let Castro win now. THE PRESIDENT: I understand that Cuban Americans made incredible sacrifices at the time of the Cuban Revolution, the Peter Pan migration, Mariel boatlift, and the thousands who made the journey to America by raft with nothing more than the clothes on their backs. I want to say this to them – America welcomed you with open arms and gave you every preference and advantage under the law – no immigrant group today receives better treatment or gets to stay in the United States and adjust their status like a Cuban does. 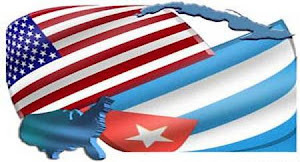 Talk about immigration reform…the Cuban American community is probably the most successful Hispanic immigrant group socially and economically. They transformed South Florida and even the American political and social landscape. However, to expect that the United States was going to intervene militarily or continue to conduct a foreign policy that is to the detriment and harmful to our strategic and national interests, is unreasonable and no longer something we can afford to do. I respect their voting and financial power. However, there is a fundamental disagreement with the approach they support and their position is no longer supported by a majority of this nation or even the world community. What I say to them is that given the legacy you have earned as a community, you have a tremendous capacity to positively influence the nation of your heritage. How can Cuban Americans be a real influence for good and change back in Cuba? Consider first that the economic power of Cuban Americans and Cubans living abroad are actually more than the entire nation of Cuba! Its time to use that power constructively to influence positive changes. Cuban Americans with relatives still in Cuba are an incredible lifeline of social and economic support and hope. I intend to extend that possibility to all Americans by expanding the travel licenses and passing legislation to permanently lift the travel ban. Cuba’s government, political system, and leadership will have to engage and deal with their own people. They have a lot of work ahead of them in the healing of a divided Cuban nation. One other thing I reminded Mr. Castro is that a great thing about elections is that the American President can only serve a total of eight years in office. Power rotates and circulates here and that is a hallmark of authentic democracy. No matter how great or important or indispensable a leader thinks he or she may be to their country, there is a time for service and then a time for retirement. And former leaders like former Presidents can still remain relevant to the discourse and future of their country. But as with any sovereign country, it is up to the people and their leadership to determine the exercise of that power. Mr. Castro remains to be judged for his actions and record by the Cuban people, but not America now. Cuba is not threatening our security as a nation or pointing missiles at us as was the state of affairs in October, 1962. Cuba is not harboring terrorists on the island. Several hundred thousand Cuban Americans and Americans visit the island annually, without threat to their safety. On the contrary, Cuba wants to trade with us and collaborate with us in the areas of science, healthcare, and education. So I have to rationally judge foremost by that criteria at this moment in history. Discussions were had about compensation for nationalized properties. We were reminded of the Cuban offer made to the Kennedy administration on the same issue at a meeting in Punta del Este, Uruguay. There will be further discussions about this. I want to move this issue forward so that those who did lose their properties can finally get compensated. They have been waiting for more than fifty years. I think we have learned once more that we cannot impose ideals but must inspire and empower them by our actions. May the United States, Cuba, and other nations be inspired and empowered to work for the resolution of human conflict. America will continue to stand for democracy and human rights, not by imposition but by example and congruency of action. Thank you and that’s all for now. We will meet with you again soon when further developments are announced. A creative approach should the White House feel like being creative. Interesting to speculate whether the return of Americans who have sought asylum in Cuba would tip the scales or ever be contemplated in Havana, at least as long as Fidel Castro is alive.